Bitcoin Revolution, Crypto Cash, and Bitcoin Evolution. If any of these names ring a bell it is probably because you saw some fake news article or fake advertisement on Facebook which boasts how a certain public figure like Elon Musk or Jamie Oliver made money with Bitcoin. The rising trend in fake news articles published in various news blogs, social networks, and popular digital news outlets such as UK Mirror and Forbes are indicative of the constant struggle between regulatory bodies entrusted by the public to protect consumers, and investors or corporations looking to boost advertising income. At the start of this food chain we have unlicensed Forex and CFD brokers who are searching for traders, and dirty affiliate networks who are more than supply the clientele for them (if the price is right). The fact remains, Forex is a lucrative business which has generated much profit for a lot of traders, so understandably there are many people who are interested in investing these days. However, as is the case with most anything these days, not all which glitters is gold. Crafty marketers understand how to use the latest Bitcoin boom and media hype in order to bait unsuspecting victims. Various well-known affiliate networks such as Offer Vault and Click Bank willingly accept Bitcoin and Cryptocurrency get-rich-quick schemes into their arsenal of offers, and in this way make these fraudulent (not to mention misleading and deceptive) systems readily available for any webmaster with a blog who is looking for a quick way to monetize his website. In this unique expose our staff has compiled an extensive list of fake news advertisements and fake social media profiles which have been used in order to coerce viewers into signing up for fraudulent Bitcoin schemes. Think we are exaggerating and don’t believe us? Keep reading our article about the fake news phenomenon and see for yourself exactly how online promoters and media networks are using turnkey affiliate marketing systems to peddle bitcoin scams in the guise of automated trading bots and fake signals. The first piece of fake news we would like to discuss is entitled “The Icelandic Ministry of Finance Buys New Startup For $100 Million”. A closer look will reveal that this is not a CNN Tech article, rather a random spoofed website which keeps alternating. The links inside this fake news article lead to another website named “Bitcoin Revolution“, and this is what we refer to as a production line or cloned scam. 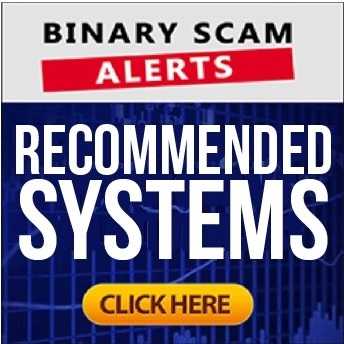 Bitcoin Revolution was exposed here at Binary Scam Alerts after receiving complaints from irate victims who were cheated out of their money after signing up for this fraudulent software. Moving along, here we can see the sponsored Facebook advertisement which looks very official and formal. You can clearly see Jacinda Ardern the Prime Minister of New Zealand conversing with Donald Trump under the subject line of “New Investment Plan for Kiwis”. A click on the advertisement above will lead you to the fake news page below which is a copy paste of the Iceland sales pitch only now they are targeting New Zealanders. Now if you look real close you will see some hypertext highlighted in blue, and again the Bitcoin Revolution is where you will be referred to in this case as well. Now this is one I consider especially nasty and insulting. Below you will see a fake Twitter account for Pope Francis where he is allegedly having an “Official BTC Giveaway”. This is a really dirty scam and we are happy the website was taken down. In this case they are just asking you to contribute money instead of giving it to you, so this is really just a very sleazy scam and has nothing to do with Forex or online trading at all. Now here is a very popular individual which has recently gotten in trouble for making irresponsible twits. Elon Musk, favored by scammers and con artists because he represents wealth and success. Now, if you are a rational human being you would not buy Bitcoin from Musk as that is not logical. However, some people are just not savvy and allow scammers to enter through the front door with these tricks. Needless to say, once you click on the link you are directed to a fake news site where Elon Musk is the star of the show. Here is another fake advertisement about Naas Botha who happens to be a former South African Rugby player. Its interesting they chose this guy, and it shows that they are targeting the more affluent and possibly Afrikaans-speaking crowd as this would appeal more to them. Again, clicking on this advertisement leads you to the Crypto Cash scam. There is also another one with South African billionaire Mark Shuttleworth. Here is our personal favorite! Here we have scammers using the name and reputation of Jamie Oliver in order to promote the same hideous scam (Bitcoin Revolution), but also Crypto Cash. Needless to say Jamie knew nothing about this and certainly did not approve or endorse get-rich-quick schemes. This scam got very viral quickly and we believe it has either been removed or about to be removed. Keep in mind that these scams target you according to geographical location, so obviously if you are in Malaysia or Singapore you will get a fake advertisement which is localized and “speaks” in a way which is adapted to where you live. We will be searching the internet for these fake news advertisements and keep our members updated should we find any relevant trend. In the meantime, if you are just sitting around searching for a decent piece of software which is actually tested and proven to work, we invite you to check out our recommended section.